I’ve got a Mens Gift Guide and a Womens Gift Guide but there was selection of items that fit sufficiently into both these categories and would be suitable for any adult regardless of gender. I think any coffee lover would enjoy a coffee related gift for Christmas. We have a Nespresso machine hugely because my husband complained about the amount of money I spent at coffee shops. I just appreciate a fresh tasting coffee and it’s a taste I have rarely been able to master at home until we purchased our coffee machine. 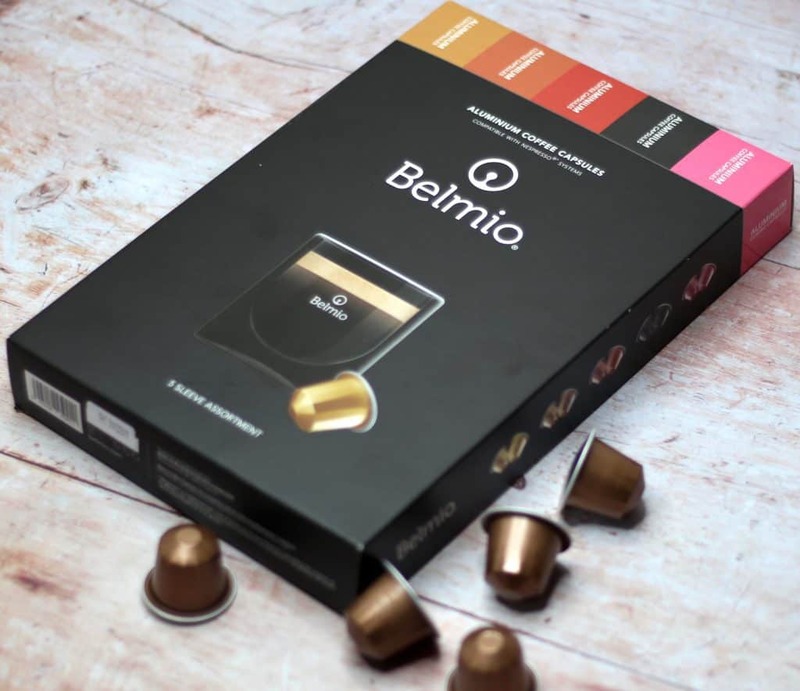 Belmio capsules are compatible with some Nespresso coffee machines and mean that you can create a coffee shop quality coffee with no mess and no real time constraint. The 50 Capsule Selection provides variety of five different coffees each in their own aluminium capsule which protects the coffee against humidity, air and light. Each capsule is a different colour depending on which coffee it is which makes selecting a capsule easy. The coffee itself is delicious and in comparison, to other capsules on the market the price is fair working out at 33p per capsule if you buy the 50-capsule selection. Find out more about the Belmio Coffee capsules on their website here. 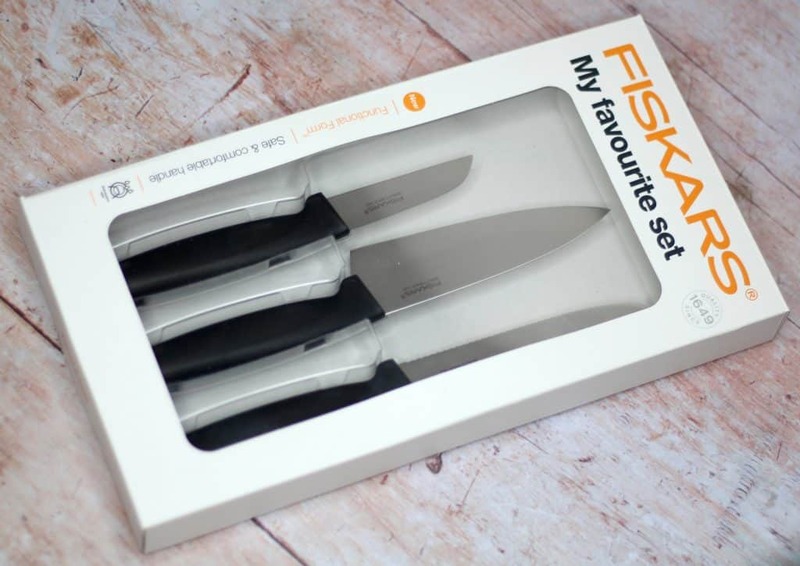 If you know a foodie, budding chef or someone who’s just moved into their own place then the Fiskars My Favourite Knife set is an ideal gift. The set includes three knives which are perfect for slicing up fruits and vegetables. The handles are comfortable and safe to use and the knives are easy to clean, use and store. They are a perfect set to use together for preparing a meal and the blades are sharp and efficient. These knives would suit someone experienced in the kitchen just as much as a complete novice. Check out the full range of Fiskars Knives on their website here. Accentuate is an absolute must have game perfect for around the festive period when people are gathering round! It’s a perfect Christmas party game especially funny if paired with a few drinks! The game is played with teams of 2+ players and the aim is to guess which accent your team-mate is imitating. The winning team is the first to reach 15 points and is absolutely guaranteed to have everyone in fits of giggles. The game comes in a handy box that keeps everything together making it ideal for taking with you to any festive parties or friends houses. For more information on the Accentuate game check out their website here. 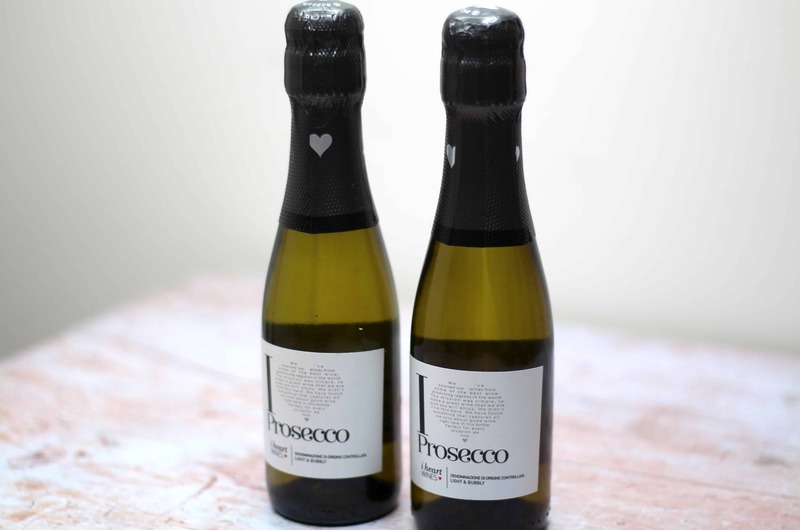 These mini prosecco bottles from I heart Wines are perfect as stocking fillers for an adult that likes a glass of bubbles. The grapes were grown in North Italy in n the Veneto region which is close to Venice. It’s perfect as a pre dinner drink or to celebrate a special occasion. As far as prosecco goes it is very nice tasting. I heart Wines also do full-sized bottles of prosecco and other wines so there is bound to be something to suit any taste or great for serving up at a festive party. Head over to the I Heart Wines website for more information. 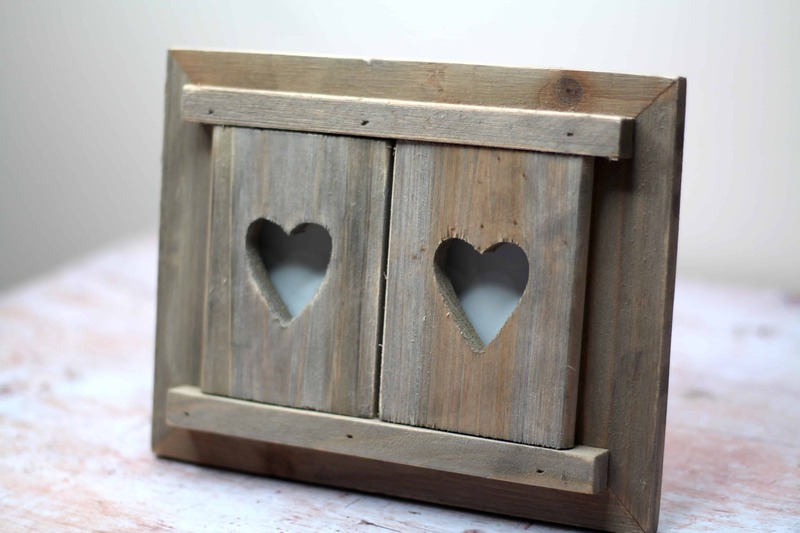 I loved this picture frame as an idea to give a couple this Christmas. It’s such a beautiful design to hold a special picture that would be pride of place in any home. The frame fits a standard 6×4 picture and is made from a beautiful wood. The design is unique and different yet will fit in with most décor styles easily. The price is an absolutely steal but the quality of the product is high. 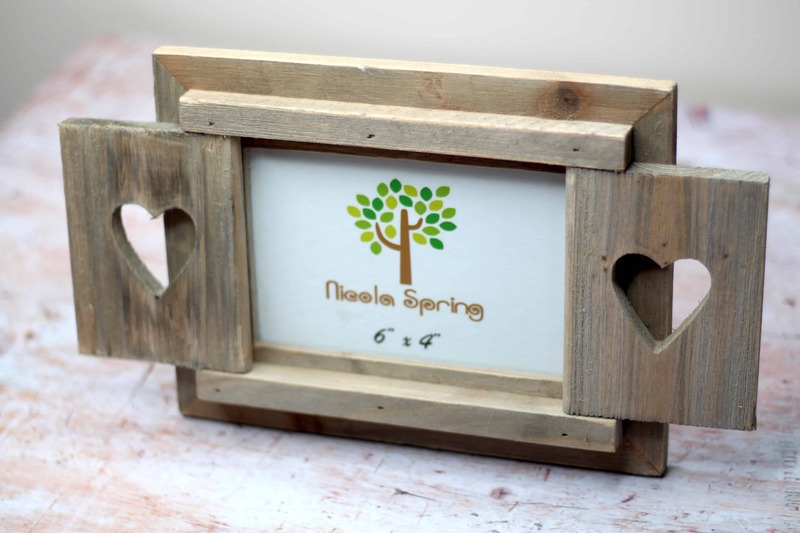 The Wooden Heart Shutter Frame is available from Rinkit.com. The Lumie desk lamp isn’t just a stylish home accessory it is also highly practical. The lamp provides light therapy which can help with symptoms of Seasonal Affective Disorder or often referred to as SAD. The lamp can really help with tiredness, lack of energy and motivation which we can suffer over the darker Winter months. 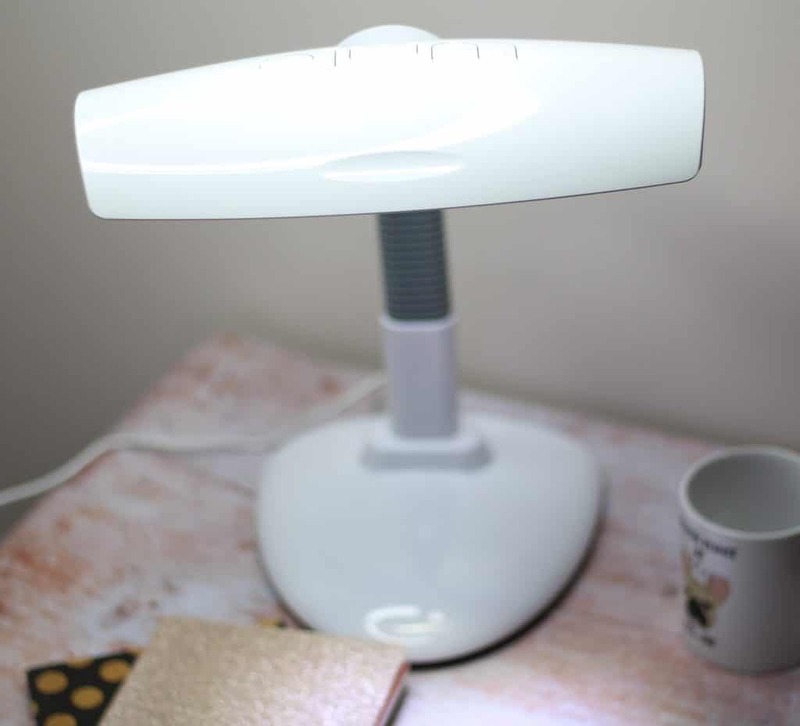 The Lumie Desklamp is known to help boost mood and concentration levels so is perfect for anyone that notices a physical difference to their mood or motivation in Winter compared to Summer. Just 30 minutes a day can have a huge impact on mood and concentration levels. My full review of the Lumie desk lamp can be found here. For more information on the Lumie Desk Lamp or other Lumie products head over to their website here. I’ve previously reviewed the TrackR Bravo and I was very impressed. The TrackR Pixel is a smaller item tracker that has a louder ring and LED lights. It’s easy to pair your TrackR device to the TrackR App and then you simply attach your TrackR Pixel to the item you want to keep track of. The Pixel is great for keeping track of your keys or purse for example. 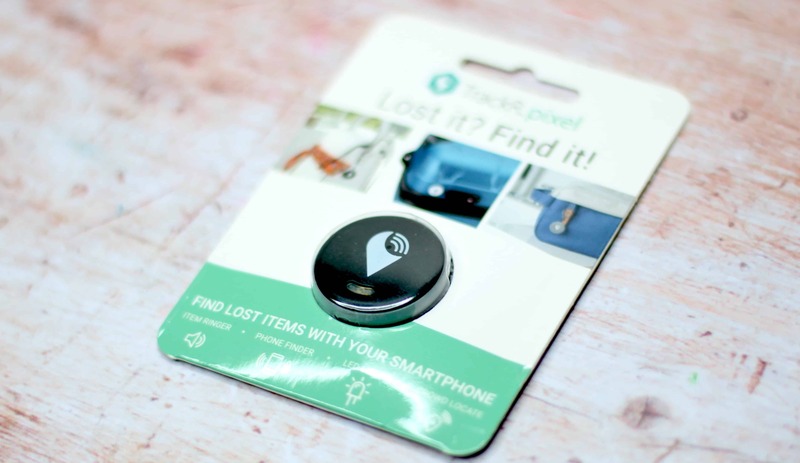 If you loose or forget where you left your item you can ring the tracker direct from the TrackR app. If the item isn’t close enough to hear the ring then you can use the Crowd Locate option to find lost items on a map. The battery is replaceable which makes the unit last for years at a time rather than having to re purchase a new device. Your Pixel can be fully personalised with full colour printing and laser engraving. The TrackR Pixel will not only make a great Christmas gift but also a practical one too! For more information please visit the TrackR website here. Large Scissors with ergonomic handles and provide a comfortable grip for all hand sizes. Stapler for stapling, pinning and tacking with an anti-jamming mechanism. Hole Punch with clear sizing guide and 20/25 sheet capacity. 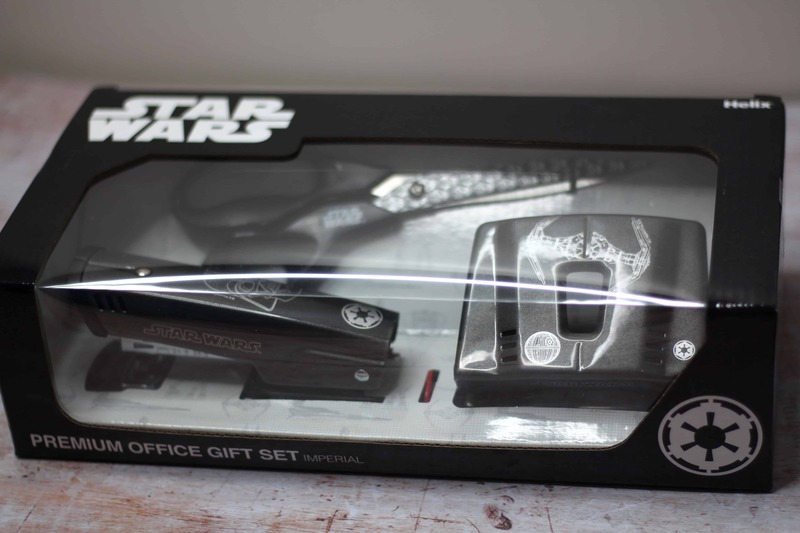 Which features Stormtroopers on the scissors, Darth Vader on the stapler and Darth Vader’s TIE advanced fighter on the hole punch. Which features the X-wing Starfighter on the scissors, R2-D2 on the stapler and the Millennium Falcon on the hole punch. Game of Things is a cheeky party game that is sure to bring laughter and entertainment! The game includes 300 topic cards, a response pad, score pad, pencils and full set of instructions. Everything comes in this neat wooden box. A topic is read out and everyone writes their responses down on the response pad. Everyone then takes it in turns to eliminate players by guessing what they wrote as their answer! This game is hilarious and people seem to become quite competitive whilst playing! The overall theme of the game is to just have fun and thats certainly easy to do. 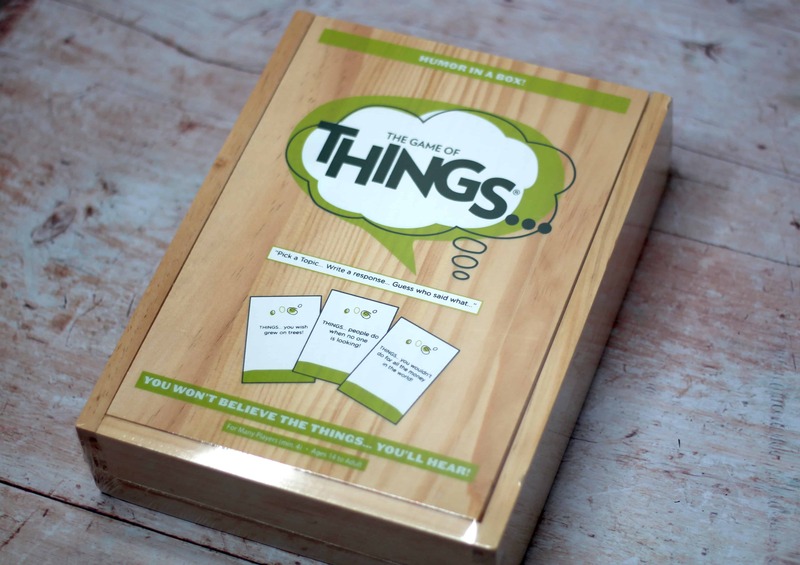 Game of Things is suitable for players over 14 years old and great for groups of four or more. Playing doesn’t require a huge amount of effort or skill but it does create a lot of laughs! This will be a great Christmas party game to play over the festive period especially if you want a barrel of laughs! Find out more about Game of Things on their website here. Thank you so much for stopping by I hope you found my Adult Gift Guide useful!! Don’t forget to look out for my other gift guides! Items included in this Adult gift guide were sent on a gifting basis however all words, opinions and views on these products are my own and honest. Every effort has been made to provide correct pricing at the time of printing please see individual websites for exact up to date prices. Links marked with * are affiliate. For more information on any of this please visit this page.